Hordu is a premier induction motors manufacturer over ten years, our induction motors are successfully used in a wide range of fields, such as cement, oil, paper, steel or other industries. You can say, Hordu induction motors are maximum reliability to smooth drive of any machines and systems. Induction motors also known as asynchronous motors in the IEC standard, that is a kind of AC motor converts electrical energy into mechanical energy. It was invented in 1885 by Italian physicist and electrical engineer Ferraris. 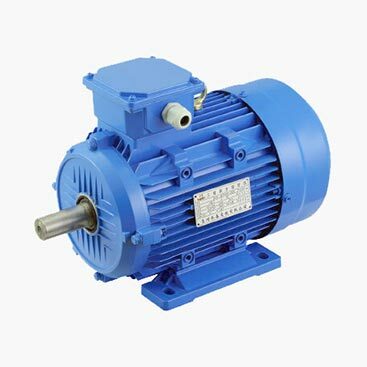 Hordu Induction motors have high operating efficiency and best working characteristics, and they are close to constant speed operation from no-load to a full-load range, which can meet the transmission requirements of most industrial and agricultural production machinery. Hordu uses the CCC, GOST, and IEC compliant accessories that guarantee particularly high efficiency, compact, robust induction motors. Hordu induction motors are qualified, as we have 18 months guarantee for the whole set, including main parts such as a terminal box, screw, and bearing, fan. The induction motors are good vibration values and low maintenance costs which excellent valued for every piece of money you paid. Very Competitive Price In The World. 18 Months Guarantee, Life-Long Warranty. 7*24 Hours Sales & Technology Support. 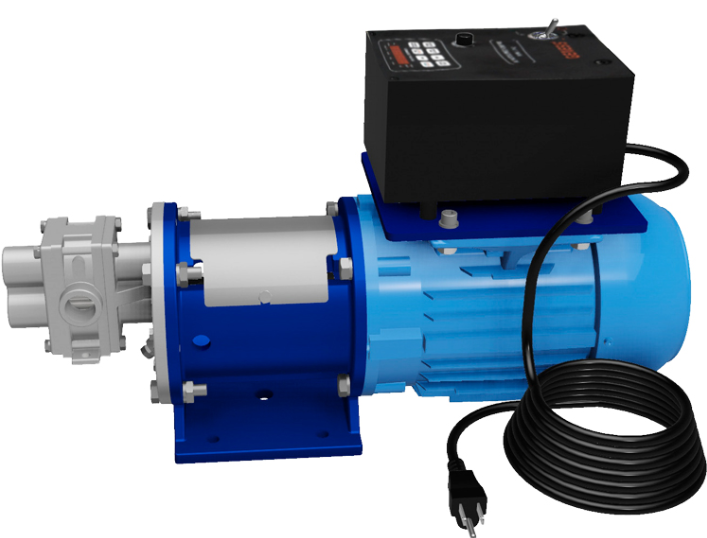 Hordu induction motors can 24 hours continuously working with the toughest conditions. We assure you that our induction motors are highly efficient, reliability and long product life for your industrial equipment. 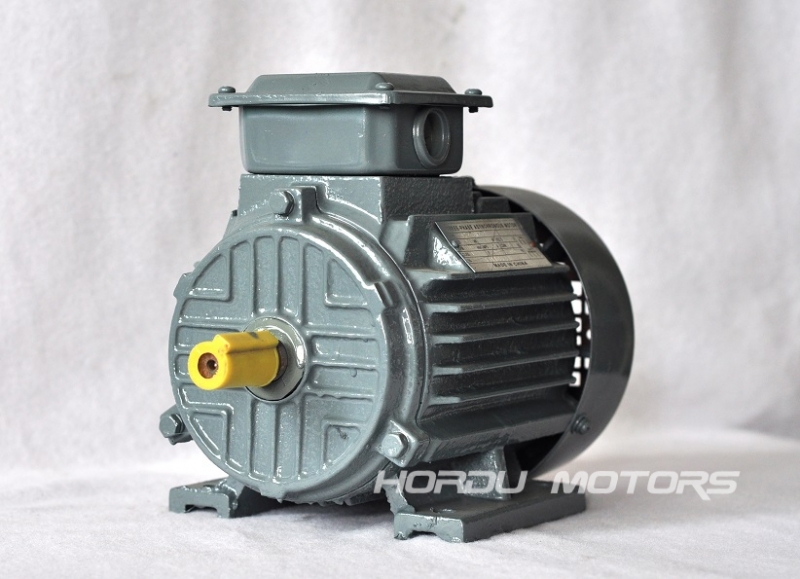 Hordu provides the full support for induction motor installation, induction motor OEM production, induction motor spare parts, and even induction motor shipping. Considerate and thoughtful sales staff, patient and meticulous after-sales, experienced and skilled engineers made hordu’s glory. We are confident that we can offer you an attractive, suitable suggestion. For example, It is difficult for users to define the correct level of protection for a particular industrial application in their field. As a manufacturer of induction motors, we specialize in providing advice and providing the best drive solution according to your requirements. 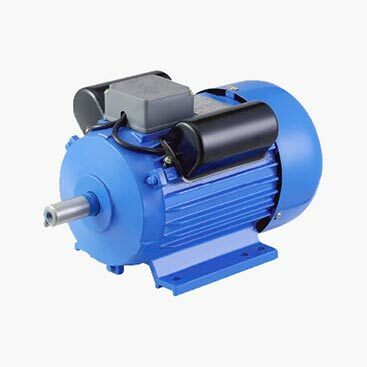 Hordu induction motors include high efficient induction motors, aluminum induction motors, single phase induction motors, braking induction motors, gost standard induction motors. These induction motors are from 0.25KW up to 500KW meet the needs of different production equipment in different industries, let you complete the purchase in one stop. 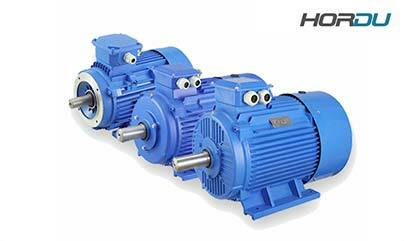 Hordu Induction Motor is available in both cast iron and aluminum case which band for harsh applications. Hordu not only make induction motors for you, but we also do technical support for you if you are facing any problem in your plant, such as spare parts damaged, but motor also doesn’t run, overheating, we can help you solve all these problems, our powerful engineer teams serve you 7*24*365. Hordu has over 10 years of induction motor manufacturing experience to support your business. 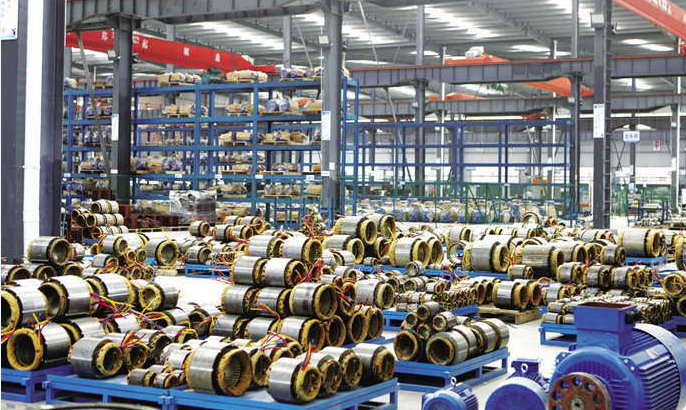 Let our robust, efficient and durable induction motors improve the production level or importing business. Chapter 1: What is an induction motor? Chapter 2: How does the induction motor work? Chapter 3: Can induction motor run at synchronous speed? Chapter 4: What are the types of induction motor? Chapter 5: What are the parts of induction motor? If you’re in the compressor, pumps, fans, conveyors, material handling, machine tool applications, then most definitely, you need an induction motor. It provides an effective way of power to drive these equipments. More importantly, going for a continuous duty working will increase productivity, efficiency, and accuracy. But, how can you choose the most reliable, and the high-quality induction motor that meets all safety standards? Induction motor an AC electric motor, It is a device that places a rotor in a rotating magnetic field and obtains a rotational moment under the action of a rotating magnetic field, thereby rotating the rotor. An induction motor can, therefore, be made without electrical connections to the rotor. The rotor is like a squirrel cage, also called a squirrel cage induction motor. The induction motor invented in 1887 by electrical engineer Nikola Tesla. How does the induction motor work? In short, electromagnetic induction produces a rotating magnetic field that drives the rotor of the induction motor to rotate. The induction motor rotates to drive the pulverize, centrifugal pump, reducer, mixer, air compressor, and other equipment. How do you find and learn more about the working principle of an induction motor? Can induction motor run at synchronous speed? The induction motor always runs at a speed lower or higher than synchronous speed. In other words, the induction motor can not run at synchronous speed, that’s why we also called it Asynchronous Motors. Synchronous speed means the speed of the rotating magnetic field in the stator. What are the types of an induction motor? What are the parts of an induction motor? 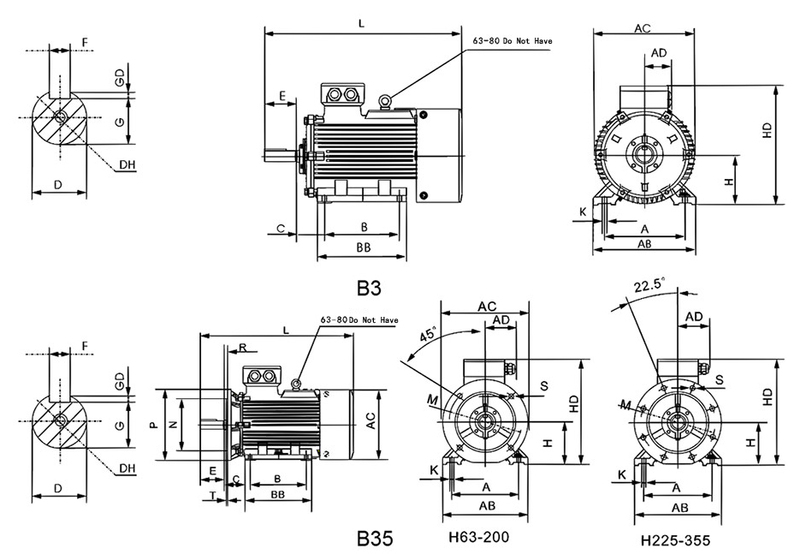 The induction motor has three main parts, the rotor, the stator, and the outer casing. The stator and rotor complete the work and the outer casing protect the rotor and stator. The stator is the stationary part of the induction motor or generator. It consists of three parts: the stator core, the stator winding, and the base. 1.1 Stator core: It is the magnetic circuit part of the motor and is fixed inside the base. The stator core is laminated with a 0.35-0.5 mm silicon steel sheet, and the silicon steel sheet is coated with an insulating varnish. It can effectively reduce eddy current loss and hysteresis loss. Stator winding: It is the circuit part of the motor, and the coil of the insulated wire is inserted into the slot of the stator core. 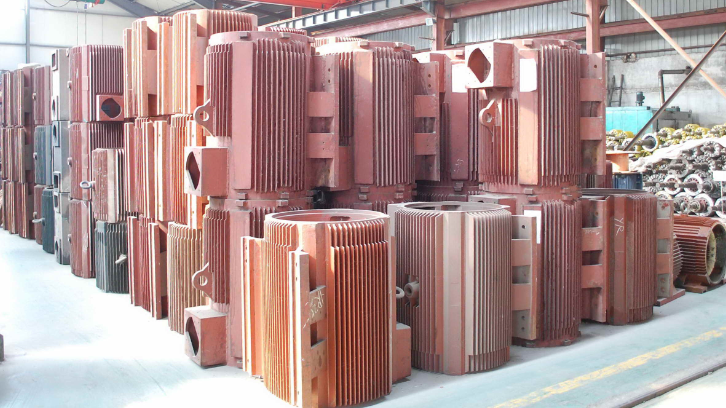 The stator windings are directly connected to the power source, and each set of coils becomes an electromagnet with the surrounding steel core, generating a rotating magnetic field. Electromagnetic induction is the basic principle of induction motor operation. Centralized winding, simple to produce, but low efficiency and poor running performance. Distributed winding, the stator of the distributed winding has no convex poles, each pole is regularly embedded and wired by one or several coils, and the magnetic poles of different polarities are generated after being energized, so it is also called hidden pole winding. AC motors usually use distributed windings. The outer casing consists of a frame and front and rear end caps. The stator is mounted within the frame and the rotor is mounted inside the stator with a slight air gap separating it from the stator. There is no physical connection between the rotor and the stator. The housing protects the internal parts of the induction motor from water, dust and other environmental factors. The degree of protection depends on the type of enclosure. Generally, the protection level of three-phase induction motor and single-phase induction motor is IP54, IP44, and the protection grade of explosion-proof induction motor is IP65. The outer casing is usually cast iron, the large asynchronous motor casing is welded with steel plates, and the micromotors are also cast aluminum casings. The housing of the enclosed motor has a heat dissipation rib to increase the heat dissipation area. The end cover of the protective motor has a venting hole for convection of the air and good heat dissipation performance. The rotor is a rotatable conductor comprising a rotor core, a rotor winding and a rotating shaft. The rotor core is also a part of the magnetic circuit of the motor, which is made up of silicon steel sheets with a thickness of 0.5 mm, and the iron core is fixed on the rotating shaft or the rotor bracket. The rotor winding is a coil group that is wound in a regular manner in the motor and is fixed inside the stator. There are generally two types of rotor windings for AC asynchronous motors, cage rotors and wound rotors. The rotor is a rotatable conductor comprising a rotor core, a rotor winding, and a rotating shaft. There are two types of rotor windings for AC asynchronous motors, squirrel cage rotors and wound rotors. The squirrel-cage rotor structure is relatively simple. Generally, a rotor coil made of copper or aluminum is cast in a cage-shaped groove on the rotor core. It is a closed loop and does not physically connect with other parts. The main function is to suppress the stator. Current. Small and medium-sized rotors are generally cast aluminum. 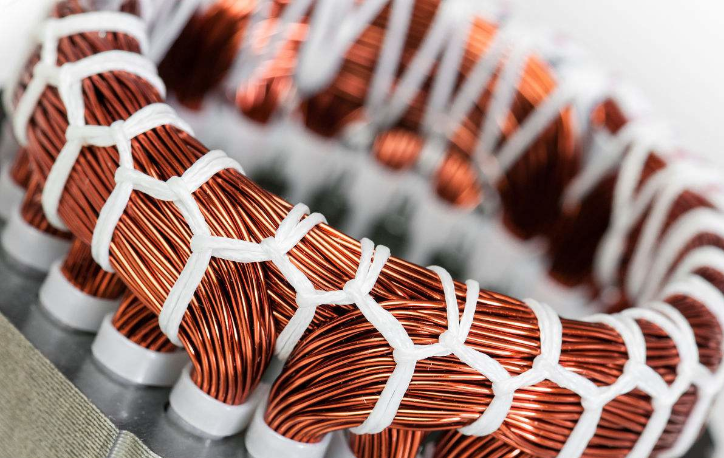 The induction motor of 100KW or more is welded by copper strips and copper end rings. In order to improve the starting performance, the squirrel cage type can also be made into a deep groove rotor and a double squirrel-cage rotor to meet special needs. There is no winding on the squirrel cage rotor, the maintenance cost is low, the manufacturer is convenient, and the service life is long. It has a wide range of applications in many fields. The wound rotor has a complicated structure and high price, and the control motor operation is relatively complicated. However, the winding motor has a large running torque because of its starting and is generally used in small starting current, large starting torque, or smooth speed regulation and heavy load. 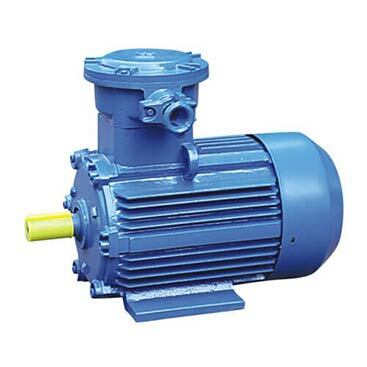 Induction motors are widely used in industrial and household appliances because they are self-starting, reliable and economical, More importantly, they have almost no maintenance costs. 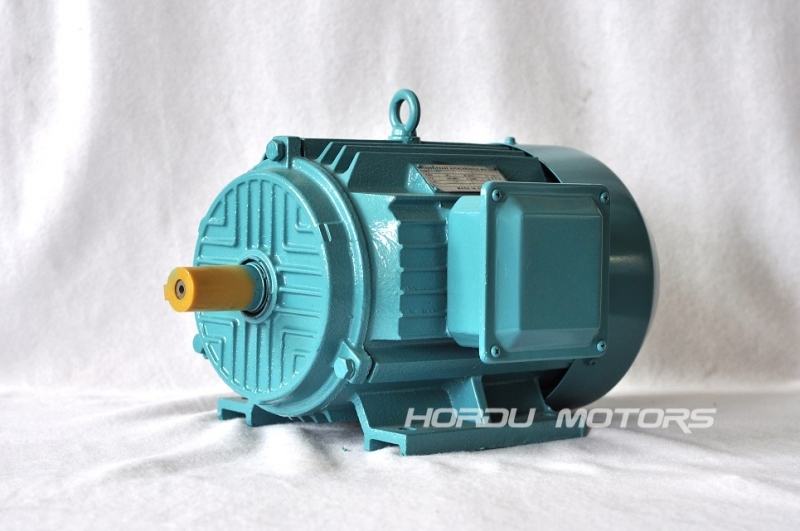 So if you are looking for a reliable and professional manufacturer and supplier of induction motor – think of Hordu. 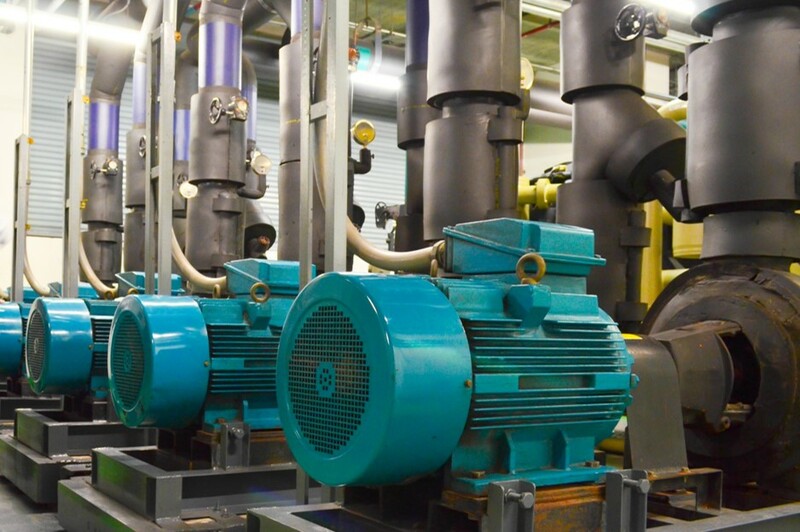 Although traditionally used in fixed-speed service, induction motors are increasingly being used with variable-frequency drives (VFDs) in variable-speed service. 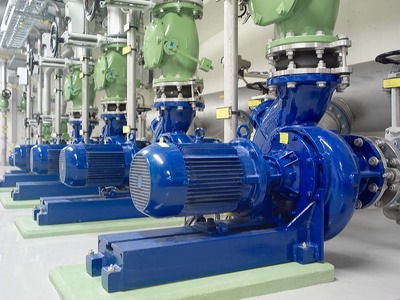 VFDs offer especially important energy savings opportunities for existing and prospective induction motors in variable-torque centrifugal fan, pump, and compressor load applications. 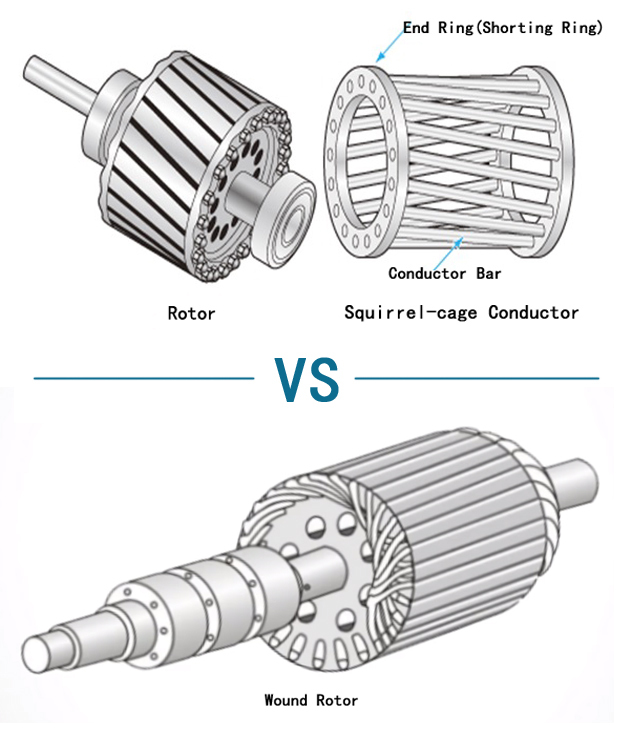 Squirrel cage induction motors are very widely used in both fixed-speed and variable-frequency drive (VFD) applications. It is a common way of low-power induction motor below 18.5KW, and it is directly self-starting at rated voltage. The starting current of Induction motors is six to seven times the full load current. According to the specified starting power of a single motor, it should not exceed 30% of the capacity of the distribution transformer. Direct start-up features: low investment, simple equipment, simple design, although the start is fast, the starting torque is small, the current is large. 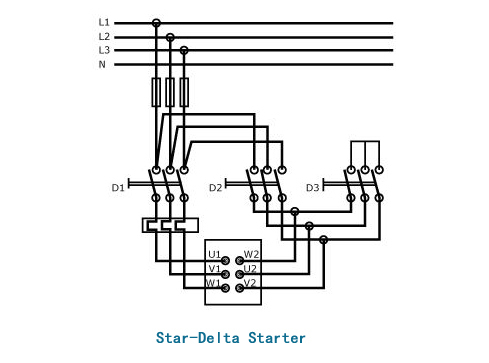 Star-Delta Starter is preferred as a method of starting in Low starting Torque Applications. 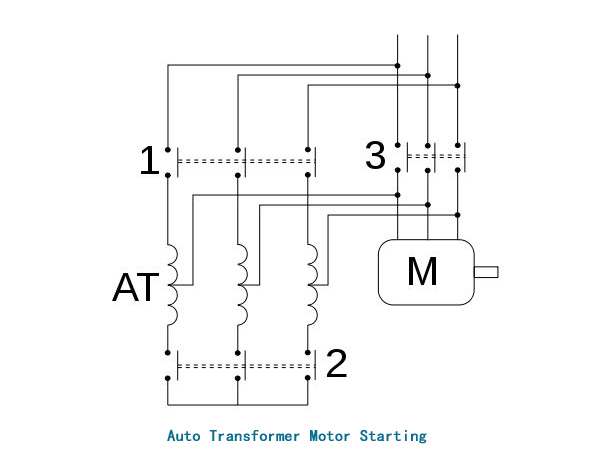 The autotransformer step-down is to connect the high voltage side of the autotransformer to the grid and the low voltage side to the motor. The voltage at the motor end can be adjusted freely. 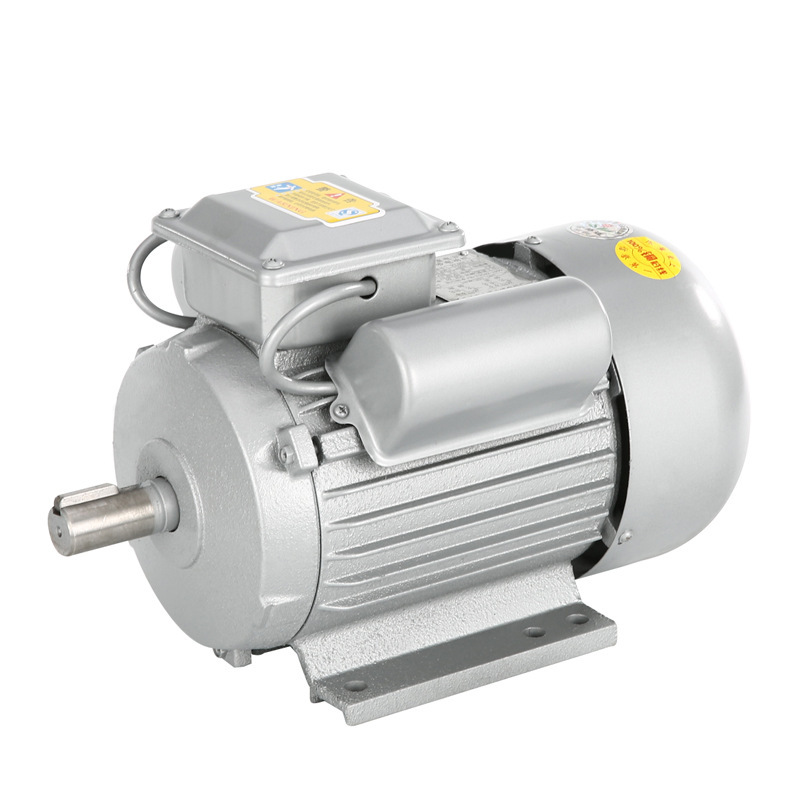 After the speed rises to the rated speed, the motor is connected to the power supply and operates normally at the rated voltage. Assuming that the voltage is 1/k of the rated voltage, the starting current is 1/k2 of the original, and the starting torque is also reduced to 1/k2. The starting torque is larger than the star-delta step-down start, but it is not allowed to start frequently. 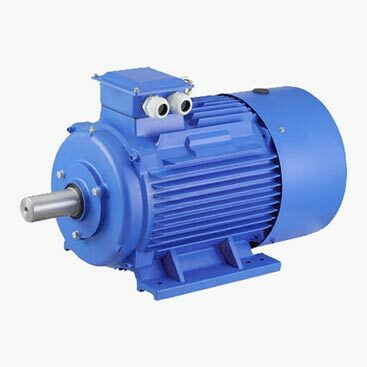 It is generally used for ultra-large capacity induction motors. Extended Delta start: When the stator winding starts, it is connected to a Yanbian triangle to reduce the starting current. After the motor is started, it is replaced by a triangle to make the motor run at full pressure. The Harmonized System is an international nomenclature for the classification of products. It allows participating countries to classify traded goods on a common basis for customs purposes. Induction motor nameplate usually marked with insulation class B or F.
So what is the insulation class of the induction motor? What is Class B insulation, Class F insulation? Let Taizhou Hordu share with you. The insulation grade refers to the heat resistance grade of the insulation material used inside the induction motor and is classified into Class A, Class E, Class B, Class F, and Class H.
The most common insulation class is Class B and Class F.
Mica, asbestos, glass filaments glued or impregnated are common Class B insulation materials. According to experience, Class A materials have a life expectancy of 10 years at 105 ° C and Class B materials at 130 ° C.
However, under actual conditions, the ambient temperature and temperature rise will not reach the design value for a long time, so the general life span is 15 to 20 years. If the operating temperature exceeds the ultimate operating temperature of the material for a long period of time, the aging of the insulation is intensified and the life is severely shortened. Temperature rise is the temperature difference between the motor and the environment and is caused by the heat generated by the motor. Note: In practice, after the temperature is determined, we will use a higher level of insulation to improve the life of the motor. For example, the commonly used insulation grade is Class B motor, and the insulation material used is often Class F to ensure the stability of temperature rise. S1 Continuous duty The motor runs for a sufficient amount of time under continuous load to bring the machine to thermal equilibrium. S2 Short Time duty Running under load for a period of time is not enough to achieve thermal equilibrium, and then there is enough time for the motor to cool down. S3 Intermittent periodic duty A series of identical work cycles, each cycle lasting for a while, then a rest period. The heat balance was not reached during the cycle. S5 Intermittent periodic duty with electric braking The order of the same work cycle – start, operate, brake and rest. Once again, the heat balance is not reached. 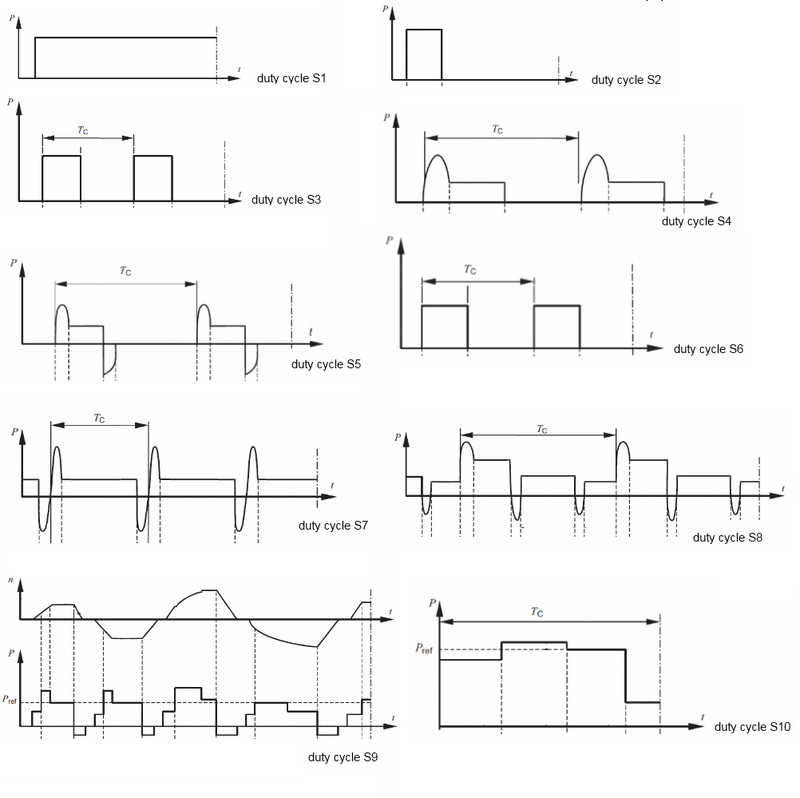 S6 Continuous operation periodic duty The same duty cycle, duty cycle, no-load cycle. The difference between S1 is that the motor does not actually stop when it is running at no load. S7 Continuous operation periodic duty with electric braking Follow S6, but with significant start and power down times. The motor runs again under no-load conditions instead of stopping. S8 Continuous operation periodic duty with related load/speed changes A series of identical repetitive duty cycles in which the motor runs at several different load levels and speeds within each cycle. There is no stop time and heat balance is not reached. S9 Duty with non-periodic load and speed variations The load and speed change periodically over the allowed operating range. Frequent overloading can occur. S10 Duty with discrete constant loads and speeds A load with a discrete number of load/speed combinations that remains long enough to achieve thermal equilibrium. In order to ensure the normal operation of the motor and extend the service life of the motor, the motor must be regularly maintained. But how do you regularly maintain the motor? What is the significance of regular maintenance of the motor? Next, we will briefly introduce the maintenance of the motor. In general, small maintenance is carried out in 2-3 months, and comprehensive maintenance is carried out once a year. Measure the insulation resistance of the motor. Cleaning or replacement of other parts of the motor. As you can see, Hordu induction motor is important equipment in the Aggregate & Cement, food processing, Pharmaceutical, Oil, Gas and chemical industries. However, to choose a high quality and reliable induction motor, you need to understand every aspect mentioned in this guide. That way, you will get the best induction motor for your specific needs. So I believe that having gone through this whole guide, you can get the three phase induction motor and single phase induction motor. For free consultations on induction motor, contact us (sales@hordu.com) today.